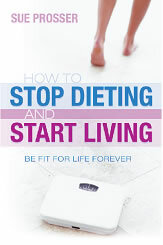 Order the "How to Stop Dieting and Start Living" ebook, along with the accompanying course ebooks, for the very special price of just £10.00. PLEASE NOTE: Online payments can only be made via Paypal. For information about how to pay by cheque, please contact the office on 0845 223 3079. If you would like to place an order, but are based outside the United Kingdom, then please contact us for arrangements and shipping rates.